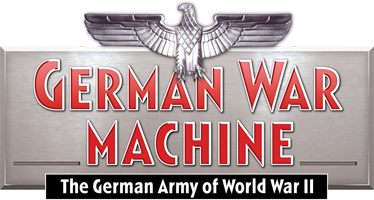 Established in 2014, German War Machine is a website detailing every aspect of the German Army in World War II. German War Machine began as a quarterly magazine and has since expanded into the release of our growing set of e-books and original full length reads. We are dedicated in providing visitors and subscribers with in depth research in the form of timelines, photos and videos, all available for free. German War Machine have an established Rapid Reads brand, brilliant one hour reads that cover a wide range of topics from The Hitler Youth to Street Fighting in Stalingrad. Rapid Reads is designed to reach out to our fellow enthusiasts on the go who share our interest in military history. You can find these in the online store, along with our full length Classic Reads. This website is produced by Windmill Books Ltd, a company with over 20 years experience of military publishing.